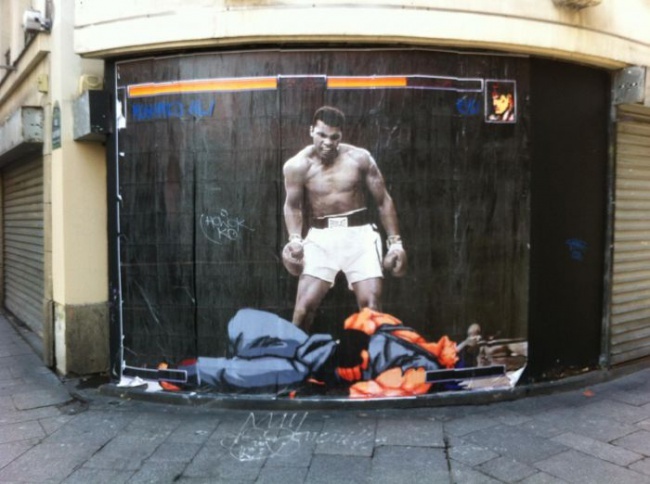 This piece of art answers the age-old question of who would win in a fight between Muhammad Ali vs. Ryu. Sorry Street Fighter fans but Muhammad Ali would decimate Ryu. Although if he were to meet a few characters from Mortal Kombat he may meet his match.